“People who speak the best go to the top”, says Mr. Bailey. He knows. F. Lee Bailey has been at the top for a long time. He attributes a good part of his success to his ability to speak. 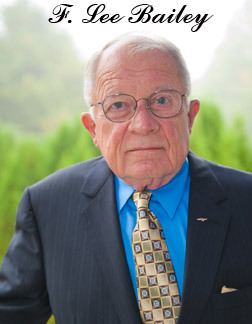 At the Association for Consulting Expertise monthly program on March 18th, our guest, Mr. F. Lee Bailey will help us learn how masterful presentation of our expertise impacts our audience. Through lessons and stories, Mr. Bailey will illustrate how excellent speaking leads to excellent results. We’ll come away more attuned to how and what we say can secure stronger links with clients and prospective clients. We all know him as a brilliant attorney: the recent O.J. Simpson trial, U.S. Army v. Captain Medina, the U.S. v. Patricia Hearst and many others. Yet, Mr. Bailey may well argue that it is speaking well that is most important. In fact, Mr. Bailey, over the past 40 years, has become one of the most experienced speakers in the United States. He has appeared at more than 3,000 conventions, seminars, universities and professional gatherings. He teaches public speaking, and explains why those who can speak fluently and at a measured pace, without reading from a paper or using notes, deliver the most riveting and mesmerizing addresses, and are the most likely to rise to the top of the pack. In March, at A.C.E. he will instruct on some of these techniques, and give us unique insights into what makes a great speaker, and how to become one. Additionally, he will share anecdotes from the history of his famous cases and other experiences. Mr. Bailey has made Maine his home and is operating a consulting practice, Bailey and Elliott Consulting, with his partner, Debbie Elliott. You are encouraged to visit their website and please bring business cards! Registrations are required by March 15, 2011. If you want to be included on the registration list at the meeting then you need to register by the due date.